When I started up this game, I thought I'd be playing a game I once played as a kid. Instead, I was greeted with a word-making puzzle game. Having played a word-making puzzle game called SpellTower (2014) on my phone recently, I honestly wasn't too excited to play Bookworm. With that being said, I did end up spending two hours on the game, because the level just never ended! 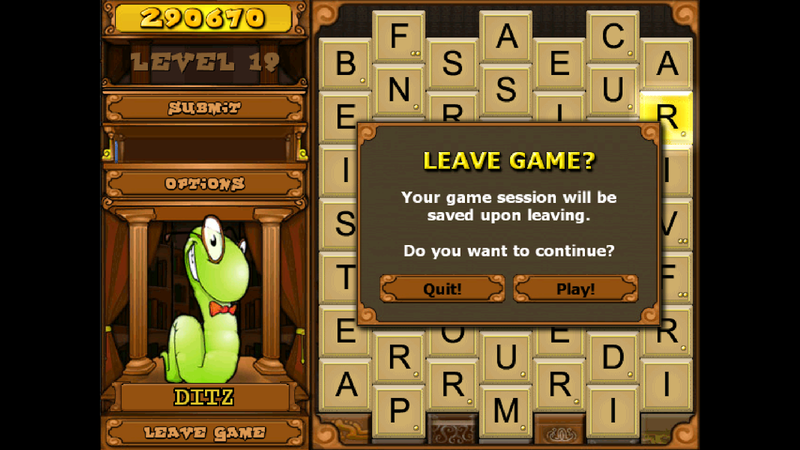 Fortunately, like Bejeweled 3 (2010), you can quit and the game will save your progress. Hooray! 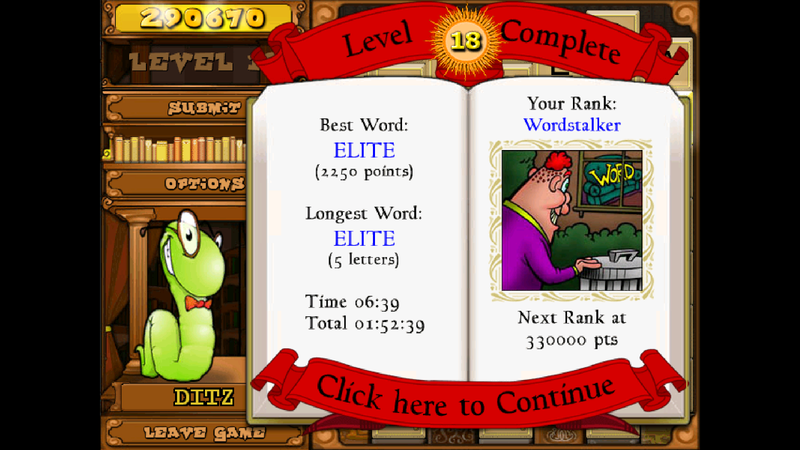 Overall, the game is easier than SpellTower, because letters are always populating the field. 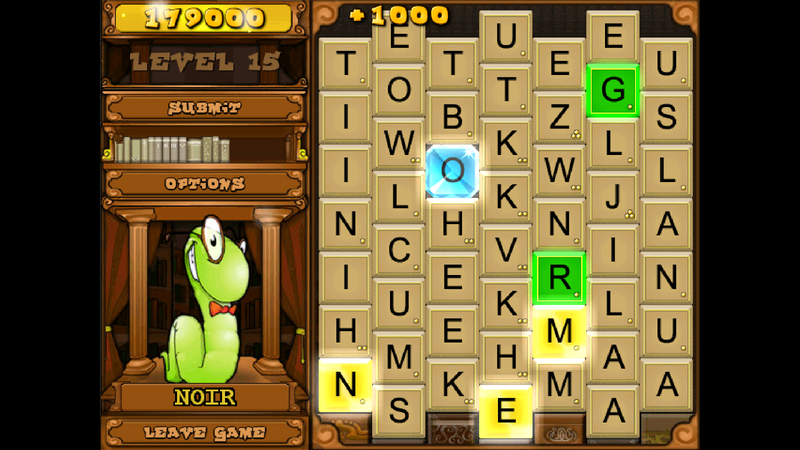 In comparing the two, I would also say that SpellTower is more fun, but only because its harder. 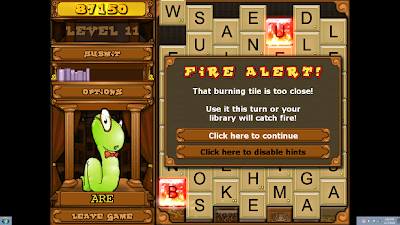 The game, however, would be challenging to children who mostly know just three and four-letter words, simply because the game spawns deadly fire tiles when you play too many short words. Being able to think ahead also helps prolong the game. 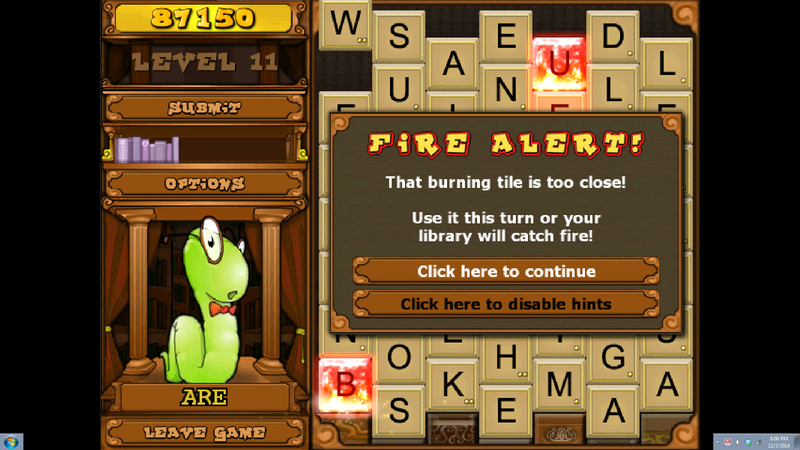 In particular, thinking ahead can help you prevent those burning letters from hitting the bottom. If that ever happened, then the game would be over. 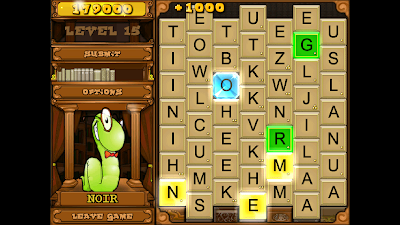 Having done a quick search, players have reached ridiculously high scores, with some suggesting that instead of playing to win, you should play to not lose. 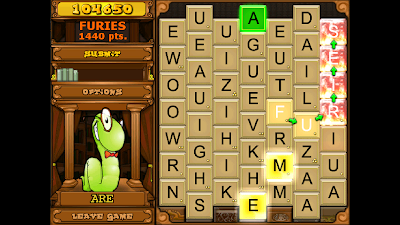 In any case, like Bejeweled, I found the game fun until it just didn't seem to end. I do, however, think kids might enjoy the game much more than I do, mainly because it'll be more of a challenge for them. Plus, unlike Bejeweled, Bookworm Deluxe has an educational aspect to it! 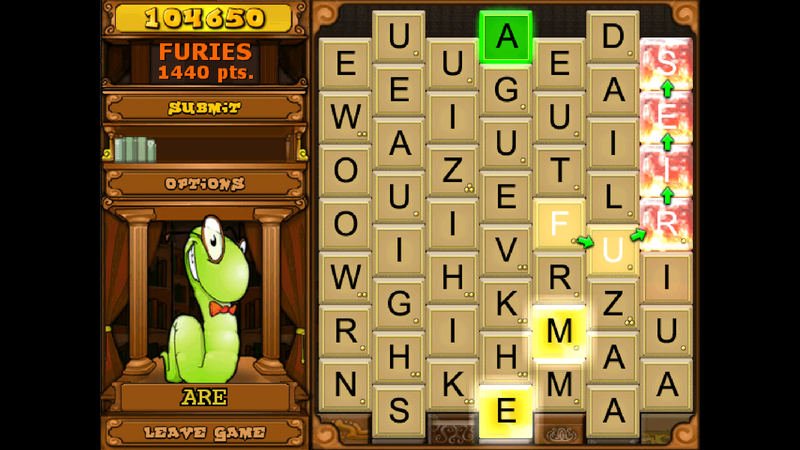 In fact, the game will occasionally define words whose definitions are less well known.